ENT for Children offers a wide range of expertise in ear surgery with myringotomy (ear ) tubes insertion being the most common type. Myringotomy tubes are medical instruments designed for the treatment otitis media in children. Our medical staff will ensure the best preoperative and after-care treatment for your little ones. During an ear infection, the fluid tends to accumulate in the middle ear, a process that can affect the child’s hearing. Myringotomy tubes help drain the fluid buildup, while reducing the possibility of future ear infections. Often referred to as ear tubes, myringotomy tubes are essentially small pipes surgically inserted into the eardrum by a physician who specializes in ear, nose and throat conditions, also known as the otolaryngologist. What are the benefits of myringotomy tubes? Children who develop multiple ear infections or have persistent middle ear fluid, benefit the most from myringotomy tubes. 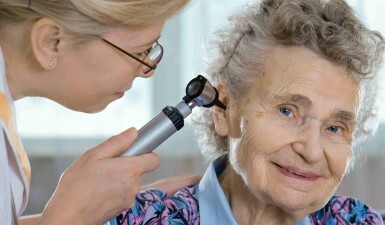 In fact, as the fluid drains through the tube, the hearing improves gradually. Take note that in cases of thicker or denser fluid, the drainage can take as long as two or three days. Nevertheless, once the fluid is drained, the myringotomy tubes prevent the buildup from redeveloping. How are the myringotomy tubes inserted? Depending the severity of the infection, it is possible that the otolaryngologist mayl recommend the removal of the adenoids. Extirpating the adenoids is necessary only when the soft tissue is also infected. The procedure is generally considered beneficial for children who experience recurring otitis media. What are the risks associated with myringotomy? As a surgical procedure, the myringotomy comes with certain risks and side effects, such as infection or drainage from the ear. In some cases, the procedure could leave a small perforation in the eardrum that may need to be corrected via surgery. Take note that the tubes generally will fall out by themselves approximately within the first year after the surgery. If they fail to do so, then you should contact the otolaryngologist immediately. The after-care treatment has the role of preventing complications and surgery-related infections. The physician will usually prescribe topical antibiotics. In addition, the otolaryngologist will provide instructions on how to protect the myringotomy tubes while the child is under the water. Every child with myringotomy tubes in place need to be seen by his/her otolaryngologist every 4-6 months until both tubes are out. In the event that your child is experiencing pain, fever or that the tubes are displaced and sticking out of the ear, then you should contact us right away. Dr. Daniel Samadi will immediately evaluate your child and determine the best course of action.